With the 2018 midterm elections on the horizon, the DNC needed to inform millions of subscribers and donors about their local elections, polling locations, and volunteering opportunities. The DNC also wanted to send visuals that resonated with each and every one of their subscribers without putting a serious strain on their production and design processes. Download the case study today! 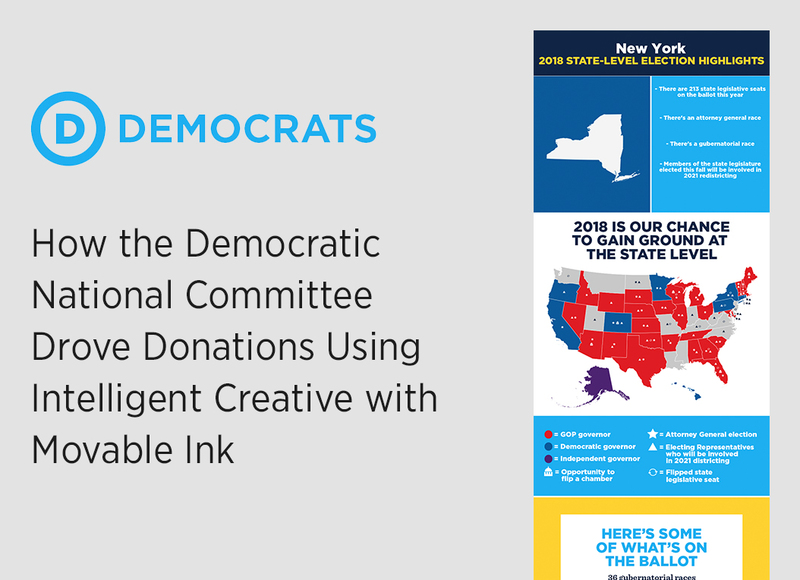 This entry was posted in Case Studies, Intelligent Creative and tagged democratic national committee, dnc, intelligent creative on February 8, 2019 by Carine Alexis.